Last edited by bhootnath on Sat Nov 20, 2010 12:53 am, edited 1 time in total. I agree, I much prefer phpbb. If it was my call, that's what we'd be using here. Requires an account on the site (to avoid guest spamming etc). It's integrated with phpBB for the login, user accounts, determining who to auto-mod, whois box, etc. Preview pics, in case you don't feel like making an account just to see what it looks like. That was basically a test bed for getting used to working with PFC. 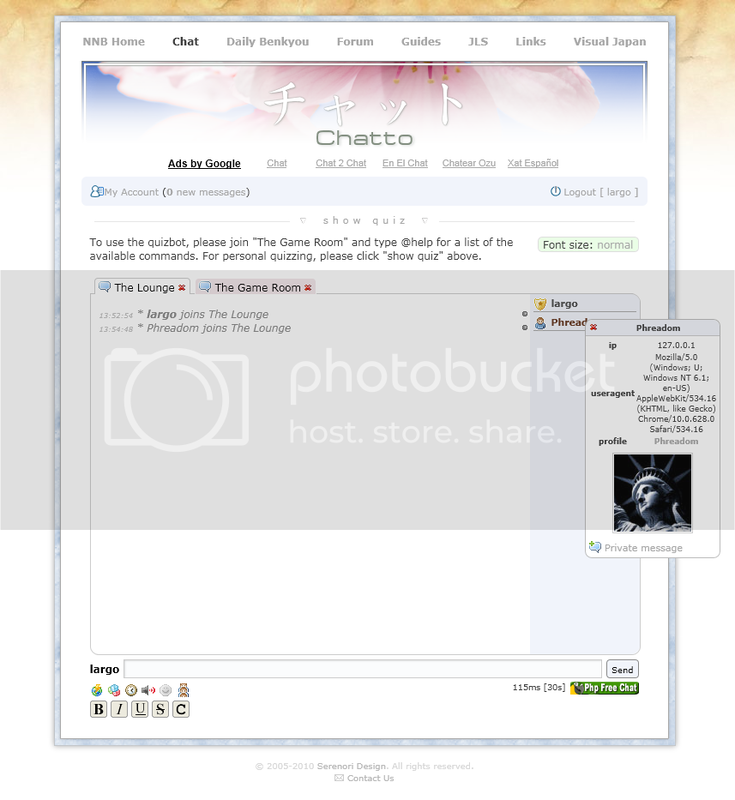 Then I implemented it on http://thejapanesepage.com/chat (same as the other site, requires a login), but that's been trickier since it's embedded in a Drupal page. There's been some Drupal related headaches, like the page request URL being something like "POST /node-chat.tpl.php?q=node-chat.tpl.php&q=chat" and sometimes with several more recursions upon itself. We've also been having a real headache with the duplicate messages and occasional dropped messages. But I'll post about that in the support forum. Last edited by phreadom on Sun Jan 09, 2011 2:11 am, edited 1 time in total. 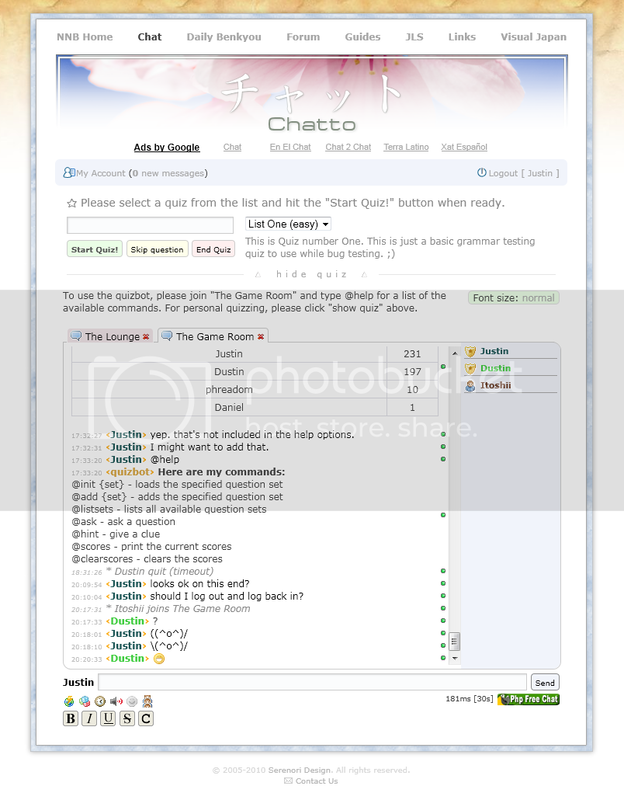 ... finally got around to integrating our chat with SMF. This is how we currently look, although more development to come! 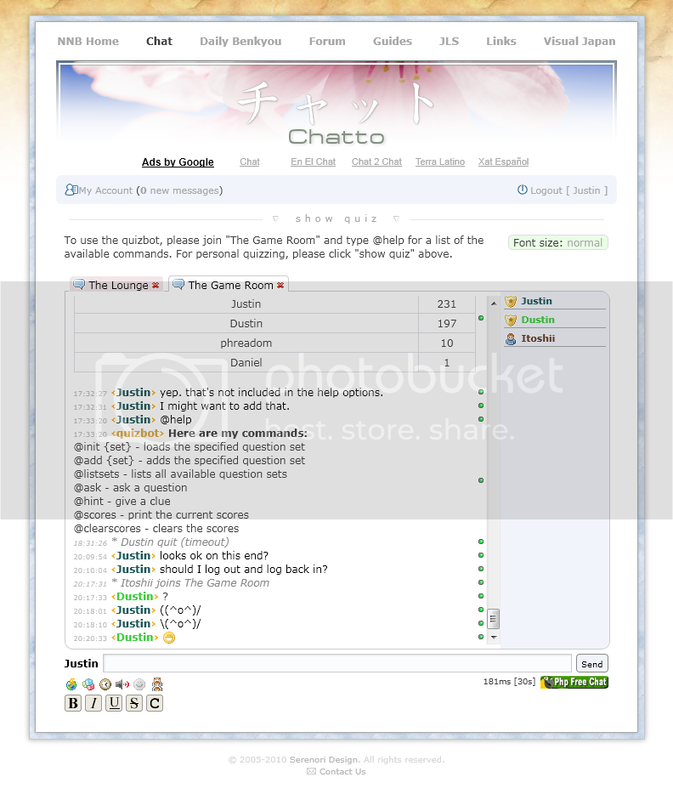 Not a very good example if people can't view your chat room, without some kind of password?